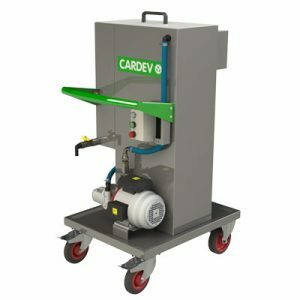 CARDEV Max 1-50 Tramp Oil Skimmer 50mm Belt – Stainless steel and aluminium alloy construction with a polyurethane belt. Fitted with an air agitator. Single-phase 230v. 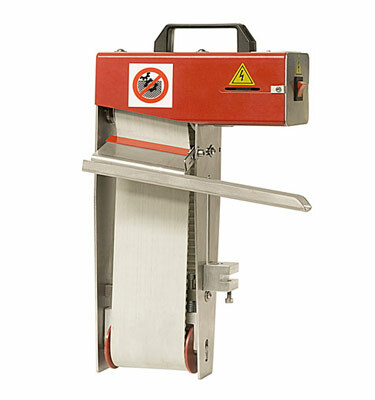 50mm belt width. Mounts directly to your CNC machine sump continually skimming tramp oil from coolant. Extends coolant life and reduces bacterial growth.